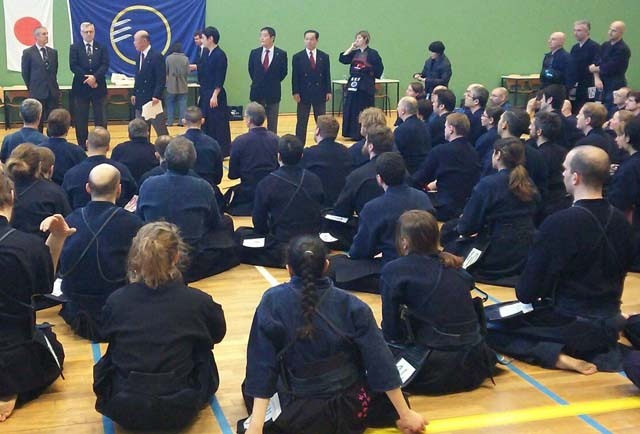 FIK European-zone Kendo Referee Seminar was held on 3rd and 4th February 2018. 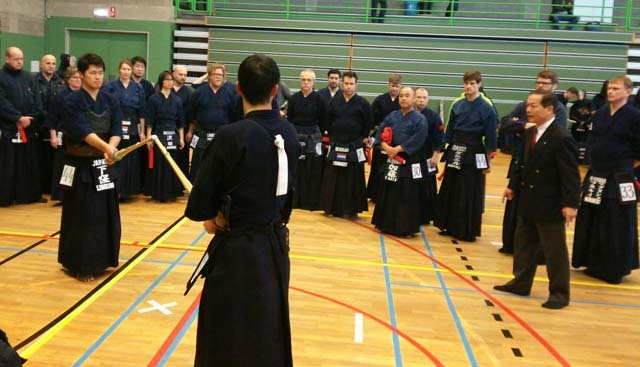 FIK European-zone Kendo Referee Seminar was held on 3rd and 4th February 2018 in Brussels, Belgium. The seminar was started from 3th February, 90 referee trainees from 18 countries in Europe were participated to the seminar. Also, some local players for referee training as the Shiai-sya were participated. 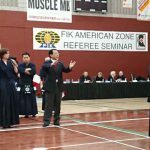 Particularly this year, 10 of WKC class players form JAPAN are participated to the seminar as the Shiai-sya due to develop good skill of refereeing for European referee trainees. n total 150 participants were participated to this Seminar. 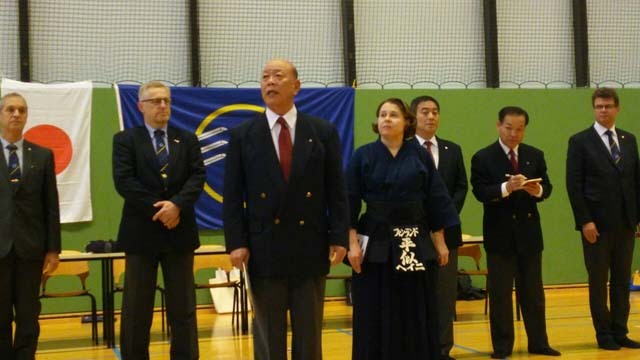 Beginning part of the opening ceremony, opening message was announced by Mr. Dieter HAUCK President of European Kendo Federation and Vice President of International Kendo Federation. After that TAKAHASHI sensei explained the purpose of this seminar and important points. 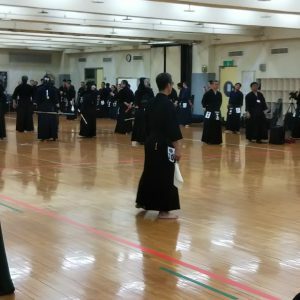 The refereeing seminar of Jitsugi was started immediately. After 2 days seminar, the judging skills of the trainees were improved and confirmed.